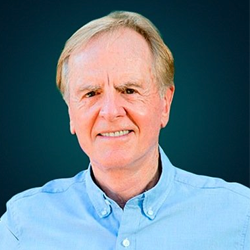 John Sculley, former CEO of Apple, is planning to launch a non-banking finance company (NBFC) christened Extend Credit to provide working capital loans to 'middle-class' economy businesses in India, he told in an interview to CNBC. He did not provide further details but hinted that his firm Inflexionpoint is currently awaiting a nod to get a NBFC licence. This would be third India-related business for Inflexionpoint, an investment and IT supply chain firm. It launched Obi branded smartphones in the country early this year. “It (Obi) is off to a very strong start and we are hoping in the next few weeks to get our credentials for an NBFC, which will enable us to start a business called Extend Credit. It will provide working capital credit for many of the middle-class economy businesses that we think are going to be a big opportunity in India,” Sculley told a television channel. Last year, Inflexionpoint had acquired majority stake in Delhi-based Iris Computers Ltd, a tier I national IT distributor with revenues of over Rs 1,600 crore. Iris distributes computer systems and peripherals, from leading OEMs like IBM, Lenovo, HP, Dell, Samsung, Acer, HCL, Canon, Western Digital, and APC through its network of 34 branches throughout India. Inflexionpoint was started by Sculley; technology and financial entrepreneurs Shane Maine and Gordon McMillan; and Neeraj Chauhan, former managing director of Global Infonet Distribution, India. The founders of Inflexionpoint are also the founders of Pivot Technology Solutions, a Canadian holding company created for acquiring North American IT VARs. Inflexionpoint has offices in the UK, Jersey, Ireland, Singapore, India and Canada. When asked about the investment in Indian companies, Sculley said, "We are expanding very rapidly and are an aggressive acquirer of existing businesses particularly in supply chain. The company is interested in any business that touches the growing middle-class and it could be a product business or service business."